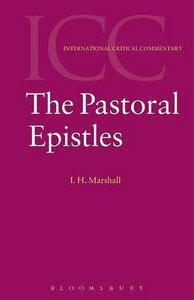 About "The Pastoral Epistles (1 & 2 Timothy, Titus) (Black's New Testament Commentary Series)"
J.N.D. Kelly is Principal of St. Edmund Hall, Oxford, England. He is acknowledged internationally as an authority on patristic Christian thought. Dr. Kelly is also the author of "Jerome, "which "Library Journal ""highly recommended for every serious religious collection."